I've always had a passion for style and beauty. As a little girl, I played dress-up and hair salon for hours and hours. My Barbie dolls were the most stylish in the neighborhood, and I held my grandmother hostage while I piled make-up on her face (she was a good sport). When it came time for me to choose a career path, I wanted to become a hair stylist. However, my father (who was a Harvard graduate) would not hear of it. He persuaded me to go to college, so I ended up choosing social work (no math and I loved to help people!). I graduated, got married, had children and worked for various social service agencies. However, I never lost my love for clothes. 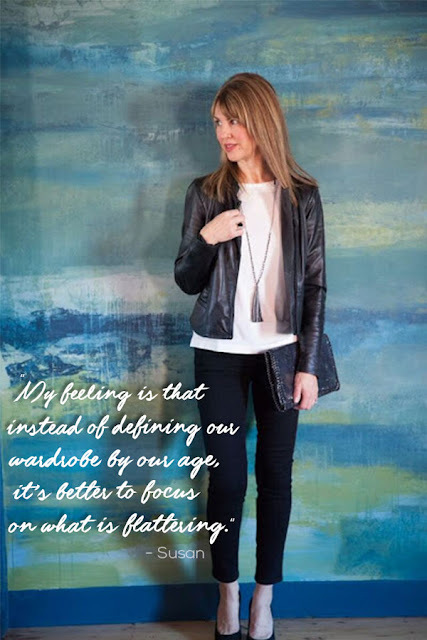 I started my wardrobe styling business nine years ago and began "seriously" blogging in 2015. I continue to balance all three careers (social worker, wardrobe stylist and blogger). It's a crazy life but someone has to do it! Along the way, I left a bad marriage (divorce is the worst) but luckily found the love of my life, my husband Richard. My kids are grown and now it's time for me to pursue what I love---clothes and helping women feel beautiful and confident! My goal is to give you easy to implement outfit ideas that are stylish, comfortable and modern. Hope you'll have fun poking around The Midlife Fashionista!